Ever heard your parents or grandparents come out with some fascinating tidbit of knowledge? Did you wonder ‘how did they know that’? 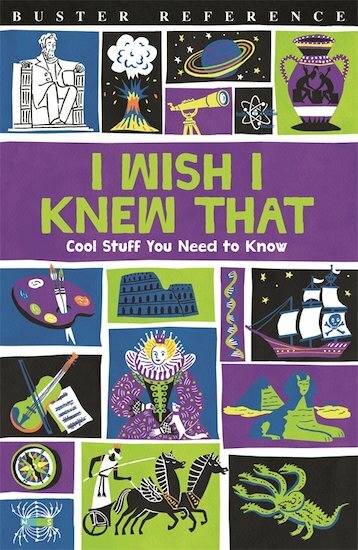 Or even, ‘I wish I knew that’? Then this book is for you! A completely original compendium of stuff that used to be taught in schools. But not the boring stuff – just the cool stuff! Where are the seven wonders of the world? How cold is a cold war? Who was that Pythagorus chap? Find out in here! Plus, you’ll explore classic books, grammar, foreign languages, kings and queens, countries, capital cities and tons more brain-boosting facts. Discover the old school topics that still matter today!